Hotel transactions, hotel valuation, debt transactions & valuation. 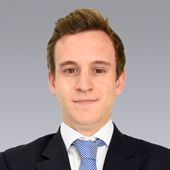 Eduardo holds a double degree in Law and Business Administration from the Universidad Pontificia Comillas (ICADE). He completed his studies at the Stockholm Business School (Stockholm, Sweden).